Itis time to lift the curtain on the new Niner RIP 9 RDO. This bike has 140mm of rear travel, 150mm up front, and it comes with a frame specifically designed around each wheel size. That means the 27.5 version isn't just small wheels slapped into the same frame, but a purpose-built frame to suit the wheel size. "Why didn’t we just make a 29er that also fits 27.5-inch wheels? Because compromises. If we’re going to do something so big (or should we say, small?) and so contrary to our brand history, dammit, we’re doing it right." It turns out they've been getting requests for a 27.5 bike from their retailers, demo riders, and fans for years. Knowing how good it can be, people wanted Niner's CVA suspension system in a smaller-wheeled package. Timed with the release of several major updates to the RIP 9 RDO platform, Niner is looking to fill that void. Plus, talented two-wheel rock stars like Voreis are often in search of a more playful ride. 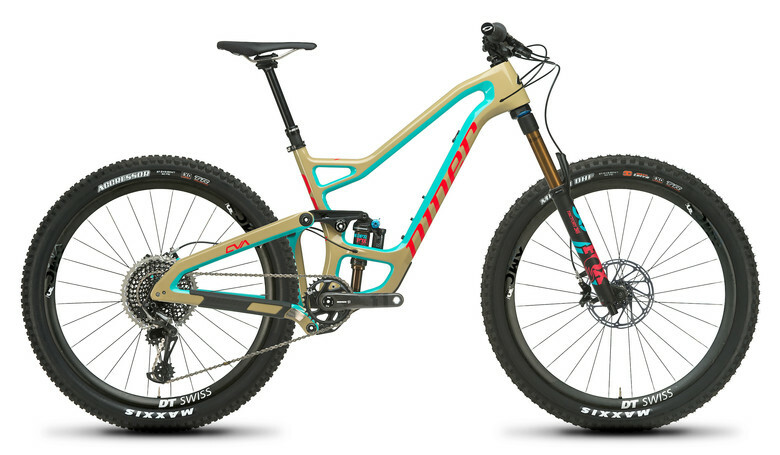 One glance at the new RIP 9 RDO and you're bound to do a double take at the front triangle, which now features "Rib Cage" struts surrounding the rear shock. "The struts reduce bottom bracket deflection," Niner claims, "while keeping the upper portion of the front triangle supple and compliant. The wide, flat surfaces found on the top and downtube help to absorb frontal impacts and vibrations while resisting deflection (twisting) under torsional load." The Rib Cage does introduce an obstacle when attaching a shock pump, but it's easily remedied with the included 90-degree adapter that comes clipped to the inside of the seatstay. 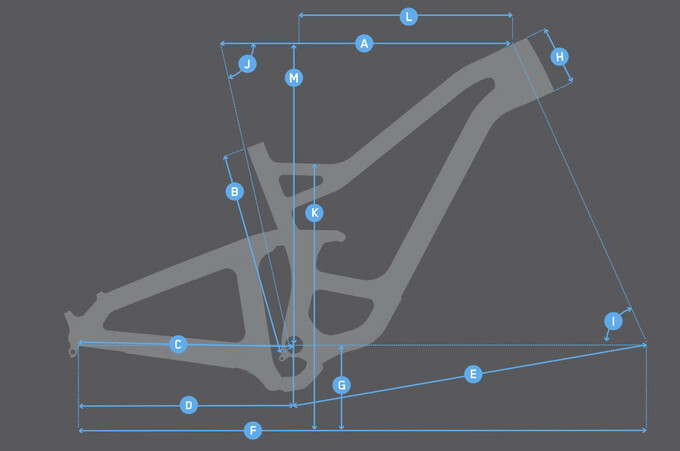 Development of the new RIP 9 RDO began several years ago, and, following extensive testing, Niner settled on the strut placement before FOX switched up the orientation of their valve. Niner also bulked up the rear triangle considerably and was able to remove the seatstay bridge in the rocker link as a result. The new two-piece rocker link allows room for more tire and mud clearance. Double-width bearings at the rocker link pivot help with torsional rigidity. Niner’s unique dual-link, four-bar, CVA linkage layout, and axle path remains the same for 2019, with the lower link under the bottom bracket to allow for shorter chainstays. The big suspension changes have to do with the amount of travel and how the bike uses that travel. "140mm is the new sweet spot for do-it-all trail bikes," says Niner, and they've actually reduced the bike 10mm from the previous version to hit that sweet spot. Combined with tuning the suspension to ride more in the mid-stroke, reducing the travel increases the bike's pedaling efficiency. The bike now sports a shorter 210x55mm metric rear shock, bumping up the overall leverage ratio a bit. Niner tweaked the leverage ratio curve to be higher initially to add more sensitivity off the top and more support in the mid-stroke. Near bottom-out, the bike turns slightly digressive "to overcome the natural progressivity of air springs and give a bottomless, smooth response under the biggest hits." Overall, it's a progressive design starting off at a leverage ratio of 3.0 and ending at 2.3. And yes, it has a skid plate. Compared to the previous RIP 9 RDO, the new 29-inch model sees some notable improvements. It is now 1.5-degrees slacker, has a 0.8-degree steeper seat angle, 10-21mm longer reach across the size range, 5mm shorter chainstays, 20mm shorter seat tubes to accommodate longer dropper posts, and 20mm lower standover height across all sizes. Niner is also using shorter 44/37mm offset forks on both the 29 and 27.5 versions. All good things. The V3 model is also the first to get a geometry adjustment with flip chips in the seat stay pivot. Niner's 27.5 model has 5mm shorter chainstays, 20-25mm taller head tubes, a slightly slacker effective seat tube angle (half-degree or less), and lower standover heights than its 29-inch brother. Note that the 27.5 model is only available in small to large sizes, so tall riders in search of an XL will need to look to the 29er. A few numbers remain consistent between the bikes, including suspension travel and the head angle. The new Niner RIP 9 RDO is available now. Visit www.ninerbikes.com for more details.